Optimized stock management and inventory control. Maintain perfect control over every unit of your stock with this compact inventory manager. 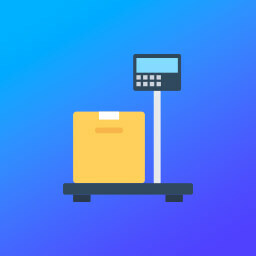 With workflow automation and end-to-end order fulfilment features to optimize your operations, you'll never have to check another box on a clipboard again. Your warehouse at a glance. 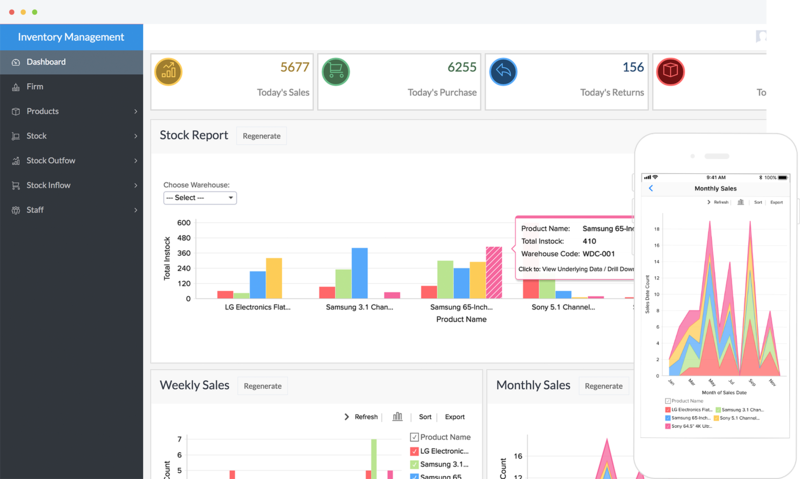 The in-depth dashboard displays critical information regarding your inventory at a glance: purchases, sales, and products sold. It also contains visual reports on weekly and monthly sales. Extensive drill-downs can be accessed by clicking on specific data points on the graph. Prevent stockouts by leaving level monitoring to the app. Set up triggers to send suppliers a reorder notice, as soon as stocks reach critical levels. You can also configure push notifications for real-time updates about purchases, deliveries, or cancellations. Use a centralized hub to monitor and regulate your sales channels. Integrate with a host of third-party e-commerce sites that synchronize with your inventory and automatically update information, based on orders that have been delivered. Take advantage of the app's order consolidation features that combine multiple orders into a single receipt, and minimize clutter. Units sent back by unsatisfied customers need to be tracked carefully. If a returned unit is good as new, you can add it back to your inventory. If not, you can discard it just as easily. What's more, develop a set of email templates to send to unhappy customers and discover how you can improve their experience. Organizing and executing purchases has never been simpler. 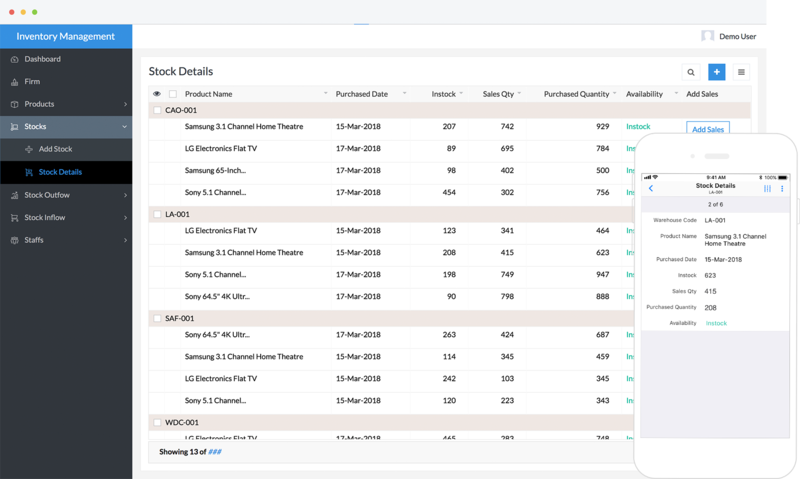 Skim easy-to-read reports to quickly determine periodic consumption patterns, and use that information to configure forthcoming order volumes. Add product details to order forms by simply scanning existing labels with our mobile-only barcode and QR scanning features. Make billing a breeze by automating the calculations associated with them. Generate invoices for every transaction with customers and suppliers, and send them through email with a single click. All our apps are fully customizable, right out of the box. Coupled with the guided scripting feature, our drag-and-drop form builder allows you to add limitless functionality to your app. You can easily build order management or customer satisfaction modules based on what you require, and set them up to work in smooth conjunction with the app. For every app you access on your computer, there's a fully optimized native one waiting for you on your smartphone. Enjoy all the features of your app wherever you go, and on any device. From monitoring stock levels, to enabling digital signatures, to verifying purchases, everything's possible. We're flexible. Zoho Creator features integrations with a host of major software solutions, like G Suite, Zapier, and Salesforce, to ensure seamless connectivity between your various productivity applications. You can also integrate with e-commerce platforms like Amazon and eBay, or accounting software like Quickbooks, Zoho Books, and Xero.